 If you’re searching for a long term rental in Manteo, NC, look no further than Pirate’s Cove Realty! Our homes and condos provide travelers with a fantastic extended stay, whether it be for business, relocation, or an extended vacation. You will receive all the home amenities necessary to make your extended stay comfortable. Most of our corporate long-term rentals are fully furnished and come with home utilities such as linens for your beds. We also offer non-furnished rentals that are available year round. We are now accepting applications for our OBX long-term rentals. Long term rental rates vary by season*. For rates and availability, please contact us for availability. Let us be your home away from home in OBX! Fill out our long term rental application and contact us for availability. We look forward to meeting you! * Seasonal rates are based on length of stay and season. An extended stay is considered a 4 month stay or longer.